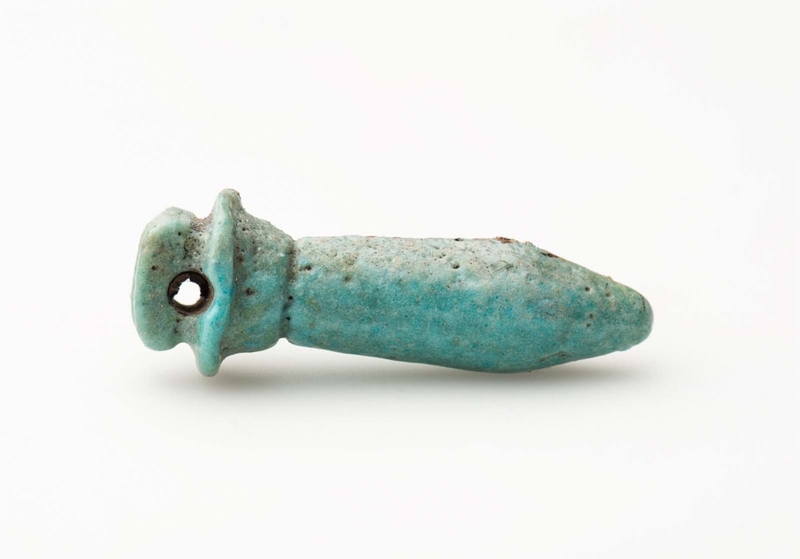 Amulet of a papyrus column (wadj), blue glaze. From Giza: G 7540T, Room I [Excav. date] March, 1929. Excavated by the Harvard University–Museum of Fine Arts Expedition; assigned to the MFA by the government of Egypt.